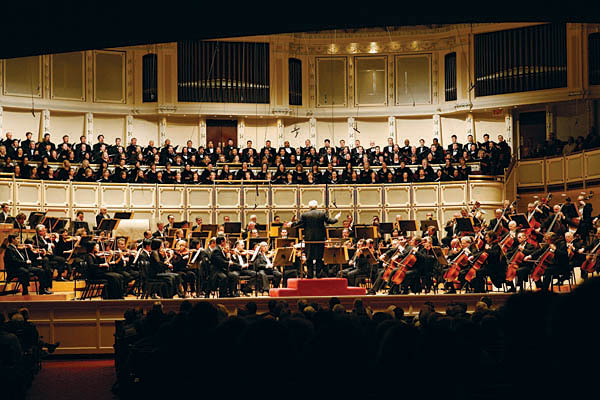 Cinematic visualizations produced by AVL were part of “3-D Universe: A Symphony,” a unique sensory experience that combines high-definition stereo pictures and data-driven animations with the music of Mussorgsky's "Pictures at an Exhibition," as performed by the Chicago Symphony Orchestra. “3-D Universe: A Symphony” was being presented at the Adler Planetarium as part of its 2009 celebration of the International Year of Astronomy. The show opened March 6, 2009.